It has been suggested that blockchain will transform marketers' relationships with consumers, create smart contracts between companies, and save programmatic. There's a heavy burden of expectation being heaped upon the shoulders of this new technology, and it's not even out of its infancy. If blockchain were a person, it would already have to set aside money for therapy. There's a seemingly significant amount of promise to the blockchain. It's creating disruption in the financial market, and some brilliant people are trying to figure out applications in the marketing space. In fact, as part of their most extensive ever executive shuffle, Facebook has just announced the creation of a team to figure out blockchain. Former president of PayPal, David Marcus, who until this week was heading up Facebook's Messenger app, will lead the effort. The company is also pulling Instagram's vice president of Engineering, James Everingham, and vice president of Product, Kevin Weil, to help answer the questions, "What is the blockchain? And how should Facebook be using it?" The Facebook team aren't alone. Brands and publishers are trying to answer the same questions for themselves. There are quite a few riddles to figure out. A recent workshop held during RampUp 2018 brought to light some of the challenges blockchain must overcome and a more realistic sense of the technology's potential. For digital brand marketers to benefit from the technology, blockchain would need to process information about millions of consumers visiting billions of websites every single day. Today, blockchain lacks the speed necessary for brands to leverage the technology in their digital marketing efforts. To put this into context using some stats from the purchase side of the equation. Paypal manages 193 transactions per second on average, and Visa manages 1,667 transactions per second on average. Without going too far into the tech, due to the way blockchain works, Bitcoin can only handle about seven operations per second. And, unfortunately, the speed problem gets worse as blockchain tries to scale. Another big challenge, is the need for consumers to raise their hands, buy into the idea of the blockchain, and opt-in to letting brands use their personal information for advertising. Additionally, to make it an efficient means of identification, most consumers will have to choose a blockchain that has adopted a standard way of codifying the data. The need to join an identity network, much like joining a social network, will have to have some clear benefits for consumers. It took Facebook, with all its photo-sharing and poking ability, approximately ten years to reach one billion users. 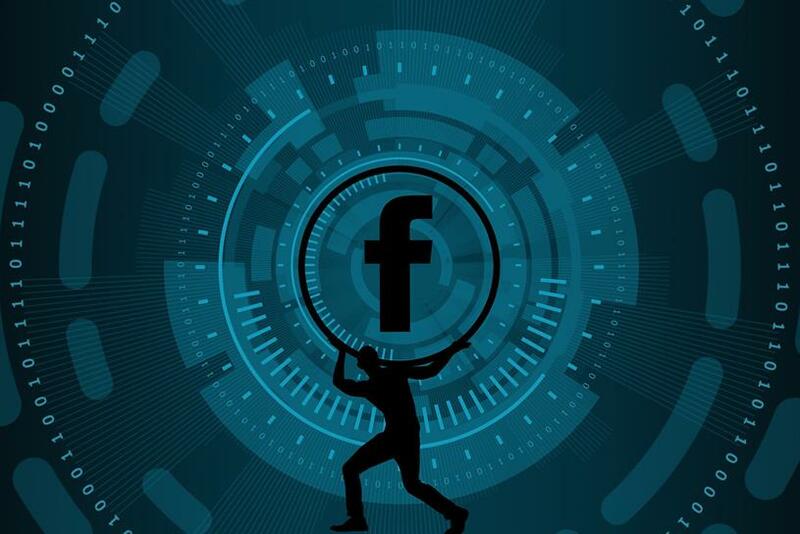 Figuring out the blockchain isn't an insurmountable challenge, as we mentioned, Facebook is trying to tackle it now, but it isn't going to happen overnight. For brands, the ability to move from mass-market communication to a one-to-one relationship with customers is evident. The connection would eliminate inefficiency and improve the ROI of a company's digital marketing efforts. Using the information contained in the blockchain, marketers could deliver the right message at the right time to the right people without interrupting consumers' online journeys. Consumers would find more readily and seamlessly the products and services they need when they need them. In light of recently well-publicised breaches, there's a definite desire for consumers, and significant initiatives being mounted by governments, to protect personal information. Using blockchain like a one-time cypher, consumers could allow brands to glimpse all their relevant information, without transferring it, to let those most relevant and best able to meet their needs reach them. This crypto-key would give marketers the ability to reach their target market without taking on the burden of maintaining a secure database of consumer information that might be vulnerable to hacking. There could be a financial upside for consumers in all this, too. Having better insight into their consumers, marketers can reallocate budget to more efficient and targeted rewards and discounts for prospects and customers. In this way, blockchain has the unique ability to put more money back into the pockets of consumers through savings. A substantial strategic advantage of blockchain will be the ability of brands to quickly identify new customers based on the likes, interests, and intents of their current customers. Building robust profiles of your existing customers and their journey to your brand will help you unlock this potential as the technology improves. Look at current tools to fine-tune your marketing and optimise your mix. Understanding the right message to deliver at the right time in the right place for the right customer will put your far ahead of the competition as technology advances. The fundamentals of the marketing challenge will not be changing anytime soon. Just as Facebook is doing, identify people inside your company or agencies who can separate the facts from the fantasies and gain a proper understanding of the technology. While not anyone's full-time job, yet, having members of the team stay on top of advances and gathering intelligence can give you the first mover advantage. In the end, we will probably see a transformation of the current advertising model to something entirely new. In this new model, brands can be much closer to consumers. Consumers' concerns about privacy will be eliminated, and brands will be able to control better where and when their messages appear. Publishers can more readily connect their audience with the products that best meet their needs. Brands who leverage this tech, especially consumer packaged goods brands to build stronger relationships with their customers, could be very disruptive in the marketplace.